Your opinion matters. 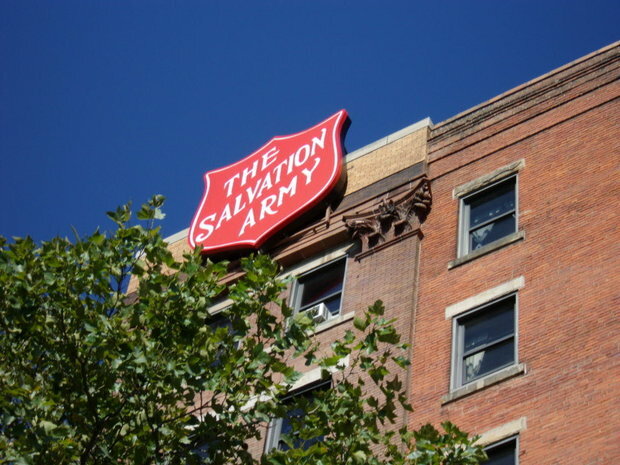 Leave your review of Salvation Army - Zelma George Family Shelter. Description: Provides an emergency shelter program primarily for homeless women with children but accepts intact families, married couples, and men with children. Offers residents case management, counseling, clothing, and food, referrals to transitional housing and other programs. Residents must save 60% of their income to use to pay rent when they move out. Children in the shelter can receive tutoring may attend summer school free of charge. Project ACT, a program operated by the Cleveland Municipal School District also provides services for children at the shelter. Qualifications: Adults 18 and older who are females (may be pregnant) with children, married couples with or without children, men with children, and single women. Children must be in under the custody of the person staying in the shelter. Priority is given to families with children under the age of 12. Must have and pass a drug and a TB screening test. If using medication, must have or have access to a 30 day supply and must be able to self-administer. Clients with mental illness must be stable and have been seen by a physician within the last six month, and if applicable, taking their medications. No use of alcohol or drugs is permitted. Hours: 4 hrs a day, 7 days a week. Generally, clients should be out of the shelter between 9:30am-12:30pm. Clients must be in the shelter by 6:00pm curfew. Exceptions are made for clients who work or go to school and are able to work 3rd shift. Length of stay is dependent upon circumstances, but it is generally 90-120 days with a one year length of time between admissions. Do you have items to donate? Contact Salvation Army - Zelma George Family Shelter at the phone number provided above to see if they can use any items you may have to donate.